Brabazon is a single malt that comes from a range of barrels of different ages. The youngest being from 2008 and the oldest 2002. 95% of the malts have been matured entirely in ex-Sherry barrels with the remaining 5% being finished in either PX or Oloroso sherry casks. 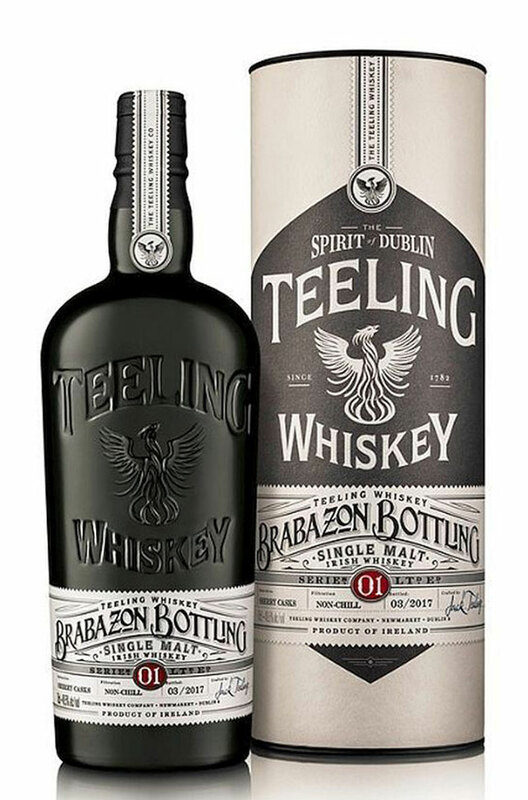 Brabazon is named after Lord Brabazon the 3rd Earl of Meath who was responsible for the development of the Newmarket Square area where the Teeling brothers built their new distillery. The historic Liberties area would become the centre of distilling and brewing in Dublin from the 17th to early 20th century. That tradition has returned with the possibility of at least four distilleries operating in the Liberties in the near future. Taste Mouth-filling and chewy but not cloying like some overly sherried whiskeys. More of the salty, sherry tang promised on the nose. Hints of chocolate, cured meats, toasted oak, leather, dried orange peel, perhaps a touch of wood smoke (not peat smoke), incense, spice,cinnamon and ginger. Marked by spicy, chewy, fruity flavours that hide the 49.5% alcohol very well. Nose A nice touch of oloroso sherry is immediately evident reminding us of Glenfarclas 105 (and that definitely a good thing!) A glorious mix of caramel chocolates, salted meats, anejo tequila, dried citrus fruits, dates and walnuts. Types of Barrel used for Aging Almost entirely matured in ex-sherry barrels. The third release of the Teeling Revival range, this time in the form of a 14 year old whiskey. This..